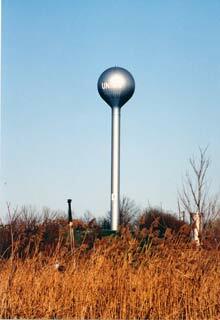 This site contains facts, information, and modelling hints for the World’s Tallest Water Sphere located in Union, New Jersey. Centered at the crossroads of the Garden State Parkway (exit 139), Interstate Route 78, U.S. Routes 22 and 124, and Morris Avenue (State Route 82), millions of motorists view this giant blue water tower each year. 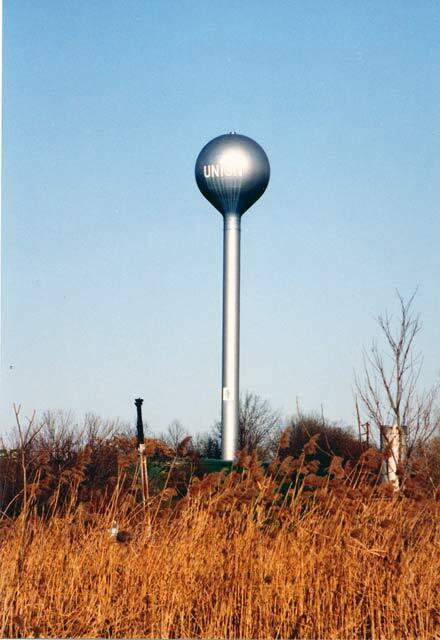 It is estimated that Union’s Water Sphere has more viewers per year than other famous towers such as Giotto’s Campanile in Florence, Italy, the Tower of London, United Kingdom, Coit Tower, San Francisco, and the Celtic Round Tower at Glendalough, Ireland. This entry was posted on Wednesday, October 5th, 2005 at 4:34 pm	and is filed under Photos. You can follow any responses to this entry through the RSS 2.0 feed. Both comments and pings are currently closed.